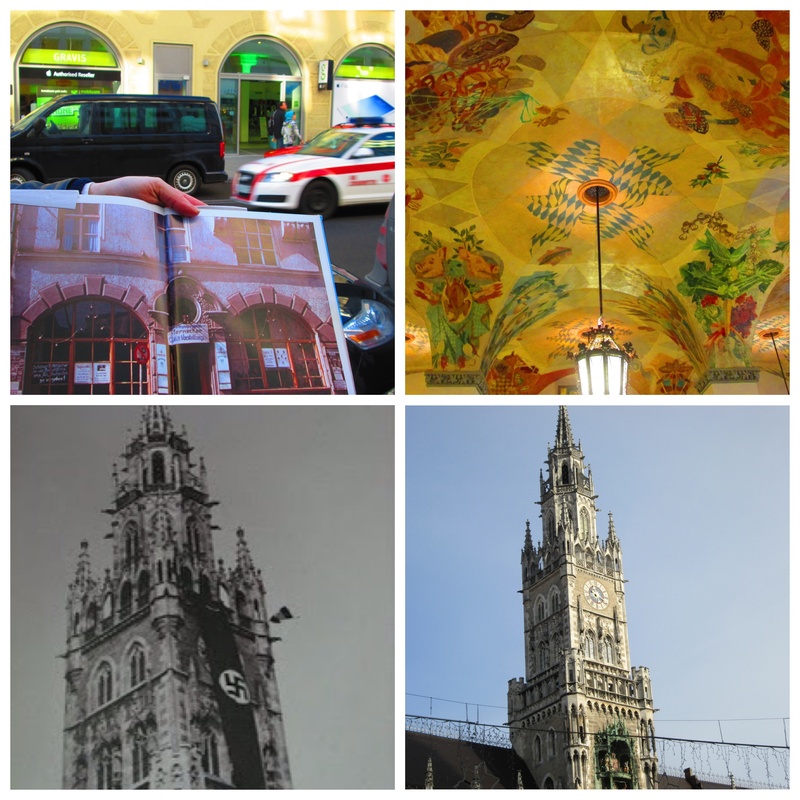 Our first week in Munich, we walked happily over cobblestone streets, by impressive neoclassic buildings, through those small winding corridors that make you feel that you’re in 18th century Europe. We knew there was history around us but we didn’t know the details. In every country we’ve visited, there are brutal war stories and stories of national regret. Of course, its well known that Germany is no different. It was a tired recipe that led to Hitler’s rise..a poor economy, a government in disarray, an inspiring orator, a scapegoat…and a resulting horror. If we could see the ghosts of the Third Reich men, they would have been all around us. The Apple Store? Once the meeting room for the German Workers Party where Hitler started sharing his views. The beautiful new town hall? Its square hosted one hate filled speech after another. The beloved Hofbrauhaus where we cozied up to locals and tourists and shared a weissbier? A rallying point for the nazis. In fact, on close inspection, swaztikas can be seen on the ceiling, modified in an attempt to disguise what once was. The ghosts were everywhere. 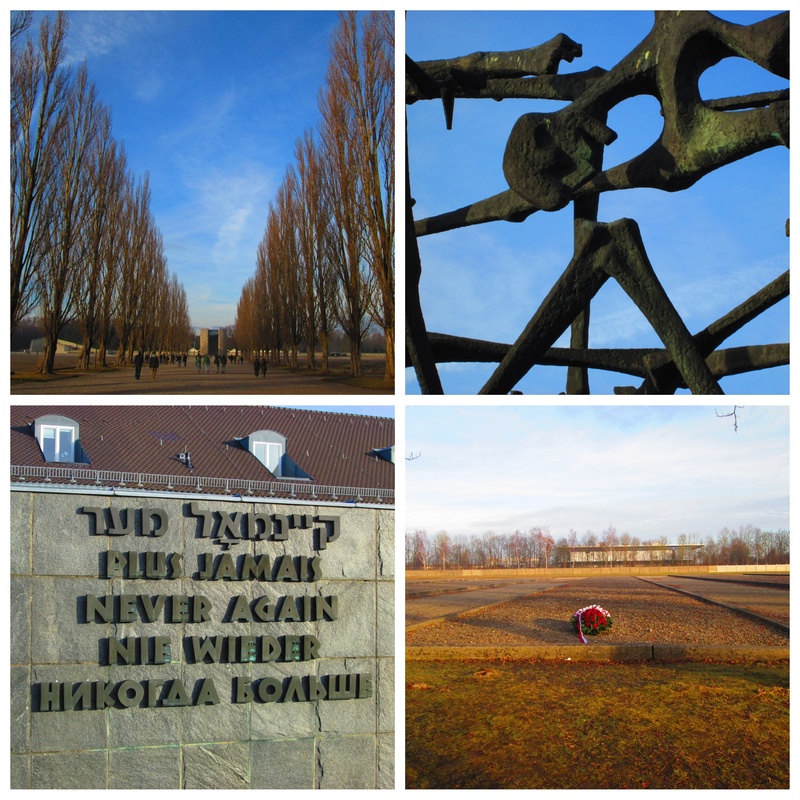 We spent New Years Day at Dachau, the first nazi concentration camp. 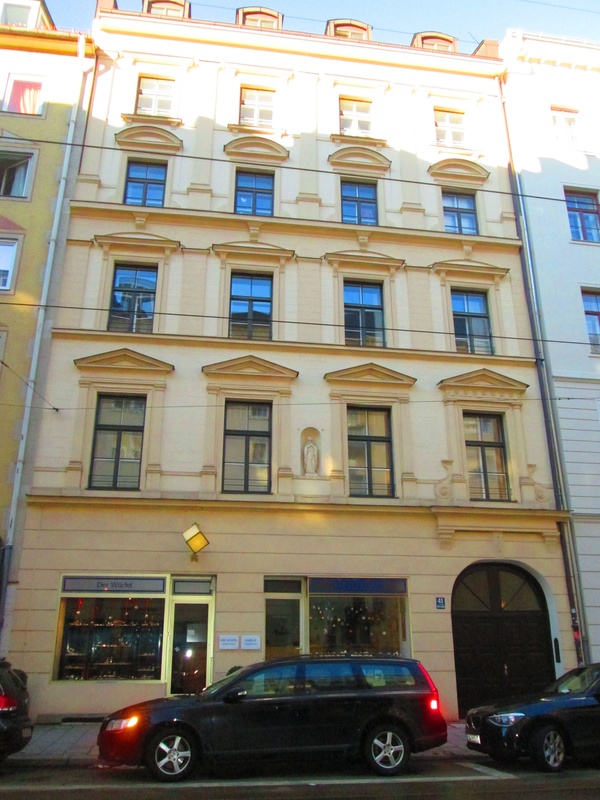 Formed in 1933 to house opponents of the nazi party, it became a forced labor camp for political dissidents and citizens persecuted due to their race, ethnicity, religion or sexual preference. The museum is blunt in its retelling, with a graphic film and pictures. Audio of first hand accounts from survivors and witnesses reinforce the absolute horror of what went on here. Approximately 200,000 people were housed at Dachau with a quarter dying here and others being shipped via train to that house of horrors, Auschwitz. Back in Munich, a plaza called Odeonsplatz holds the memory of a 1923 coup attempt by Hitler and the location of subsequent military gatherings once Hitler became the country’s chancellor. Munich citizens were expected to perform the infamous nazi salute when passing by the marker of those who died in the coup. A quiet side street named Viscardigasse bisects the walkway to Odeonsplatz and Münchners showed their silent resistance by detouring down this side street to avoid the salute. 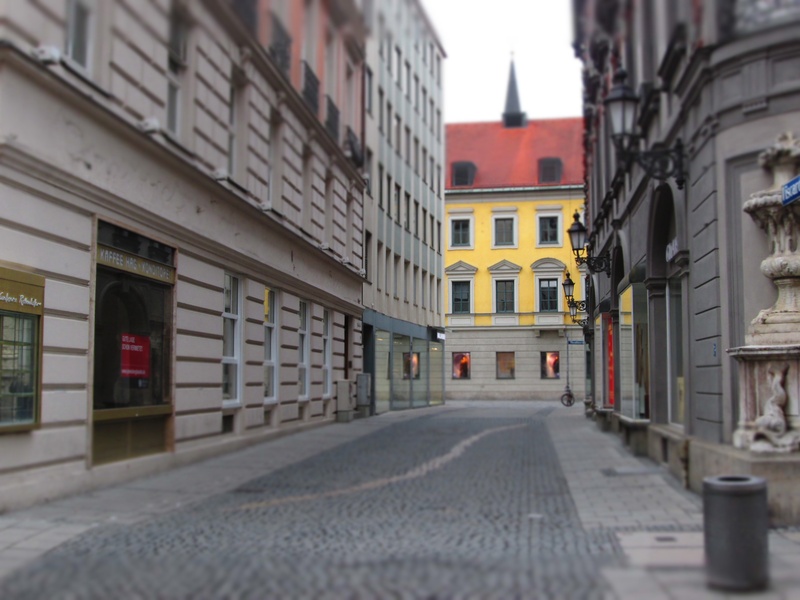 Today the street is marked with a path of white cobblestones to honor their bravery. 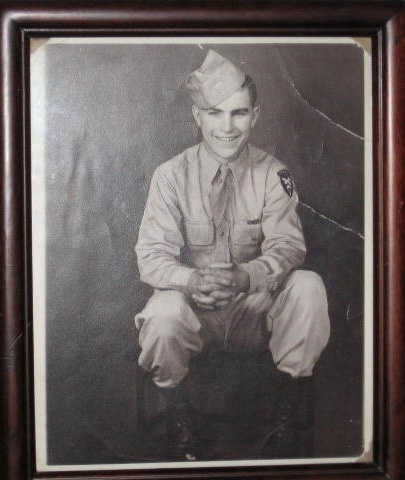 My grandfather, Eugene Smith, was a paratrooper in the 101st Airborne Screaming Eagles and fought against the nazis in the Battle of the Bulge at Bastogne. He spent nine months in an English hospital recovering from shrapnel wounds (he was one of the lucky ones…over 80,000 Americans died fighting at Bastogne). Eugene earned a Purple Heart, returned to the U.S. and met and married my grandmother, Barbara. He never talked about the war. And there’s a sense of this in Munich too…a desire to leave it behind. Memorials to the victims are hard to find and those that do exist appear to be under debate (an unlit everlasting flame?). How do you acknowledge the ghosts without placing plaques with his name all over the city? Germany is not alone in its history…brutal human conflict exists today. What is the best way to remember the horror of which humans are capable but that we just as strongly have the ability to walk a different path or…bravely hurl ourselves out of a plane into enemy territory in the name of humanity?